At Flavours we really love Italian wine. And, so today is a great wine Wednesday as we have had the pleasure to speak to Chris Pollington. 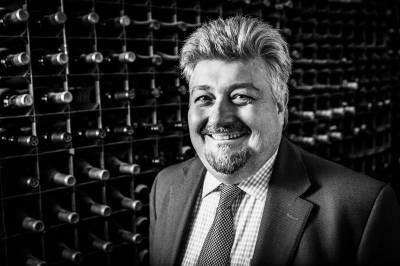 Chris is a member of the Fine Wine Team at Britain’s original wine merchant, Berry Brothers & Rudd, and shares our passion for Italian wine. Read on to hear about his personal favourites and what makes Italy such a great producer of wine. What started your passion for Italian wine? My love affair with Italy started as a child when I was taken to Lake Como and Lake Garda by my parents and I visited Venice for the first time. When I started studying wine in my teens, I found the Italian wines to be some of the most interesting and exciting wines I tasted. I then met my Italian wife and my love of Italian food, wine and culture has gone from strength to strength. What would you say it is that distinguishes an Italian wine from others? Italian wines are quintessentially food wines. Italians don’t tend to drink wines without a meal. When paired with food though, the wines really shine. In addition, the myriad aromas, flavours, styles and textures of Italian wine mean that one never gets bored, there’s always something new and different to try. What is an up and coming wine region in Italy? How long have you got? Seriously though, most, if not all regions of Italy are improving year on year, but some of my favourites of the moment are: Campania (the region of Naples and Vesuvius) Superb, full-bodied and long-lived reds from the Aglianico variety (Taurasi) and whites from Fiano and Greco; Basilicata (the sparsely populated region in Italy’s “instep”) for Aglianico (Aglianico di Vulture); Puglia (Italy’s “heel”) for spicy reds from Primitivo (aka Zinfandel) and Negroamaro and Sicily for exciting reds and whites from the slopes of Mount Etna, the south (Cerasuolo di Vittoria) and north (Faro) coasts and great whites from the western tip, near Trapani. If you could visit any vineyard in Italy where would it be and why? There are so many beautiful vineyards to visit from the Langhe (Piedmont) to Chianti Classico (Tuscany) to Taurasi (Campania), but I think one of the most astonishing sites in the wine world are the vineyards on the slopes of Mount Etna, below the volcano’s permanently smoking crater. What is your favourite Italian food and wine pairing? Chianti Classico is one of the world’s great food wines and it goes with almost anything, but is particularly delicious with pasta and a meat ragú (Bolognaise). Piedmont really comes into its own in the Autumn and in the Langhe, it’s white truffle season, so dishes like Tajarin con tartufo bianco (home-made noodles with white truffle) and Risotto con Funghi Porcini (risotto with Cepes) go amazingly well with the rich Autumnal flavours of Barolo and Barbaresco. If we offered you a cooking holiday, where would you like to go and why? That’s a difficult choice, I like the cuisine of all those regions and it’s tempting to choose the exotic flavours of Sicily again, but inspired by a visit to the beautiful peninsular earlier this year, I think I would choose Amalfi. Campania is the home of some great ingredients and wonderful wines. Our Italian cooking holidays include fantastic visits to local vineyards and so are a wonderful way to discover the regional wine and to meet locals producers. With trips to Tuscany, Venice, Amalfi, Puglia and Sicily there are some great regions to explore that produce some truly fantastic wine! If you would like to find out more about Italian wine and cuisine check out our cooking holidays or download our brochure. 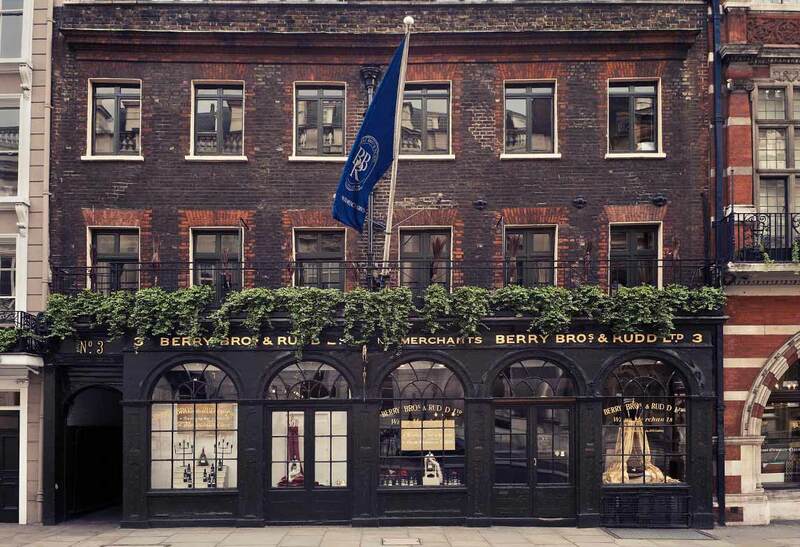 Berry Bros. And Rudd is still family-owned and run; we have traded from our shop at No.3, St James’s Street since 1698. As well as being Britain’s original wine and spirit merchant, we work hard to provide the closest link between those who make the wine and those who drink it. Our services include a wine club, a cellar plan, tutored tastings and a wine school. Most importantly, we still believe that everything you should look for in a wine or spirit comes down to one simple question: “Is it good to drink?” When you buy from Berry Bros. & Rudd you can be confident the answer is “yes”. Chris joined us in 1997 and has a long-standing love with all wines Italian. What began as a liaison with Tuscan Sangiovese and the Veneto’s Amarone della Valpolicella developed into a passion for regions as far afield as Piedmont, Friuli, Campania, Puglia and Sicily. Afflicted by a birth year considered to be “one of the world’s worst ever vintages”, Chris’s admiration for Italy was no doubt cemented by a bottle of 1968 Taurasi Riserva by Mastroberadino in Campania, one of Italy’s great legends, enjoyed on his 40th birthday. “It was stunning stuff and holding-up much better than I am,” he says.